Build your aerobic stamina and anaerobic capacity in this fun and motivating environment. These 60-minute rides provide you with a challenging workout that is designed to accommodate each individual’s needs. 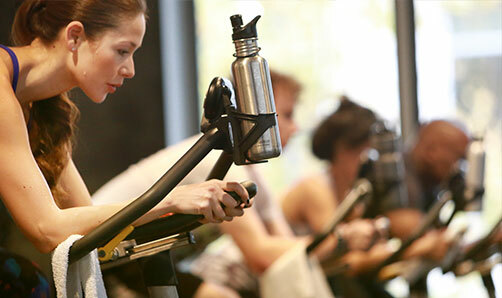 Your instructor will guide you through various terrains and ever-changing intensities on our LeMond stationary bikes. Our Endurance Cycling class is a 75-minute version of this popular class while our Cycling & Abs class includes a 15-20 minute abdominal series that will complement any cyclist’s workout.